Ferentz says any opponent out of the Southeastern Conference is tough. Iowa’s defense will need to slow down Mississippi State dual threat quarterback Nick Fitzgerald. 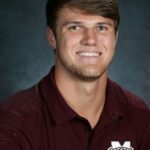 The senior has passed for more than 16 hundred yards this but is also the Bulldogs’ only thousand yard rusher and has added 12 touchdowns on the ground. He will try to solve a Hawkeye defense that gives up only 103 yards on the ground per game.